Anyone hoping to see Lex and Timmy running around "Jurassic World" as adults in the new film will be sorely disappointed -- but there's a very good reason behind their omission. 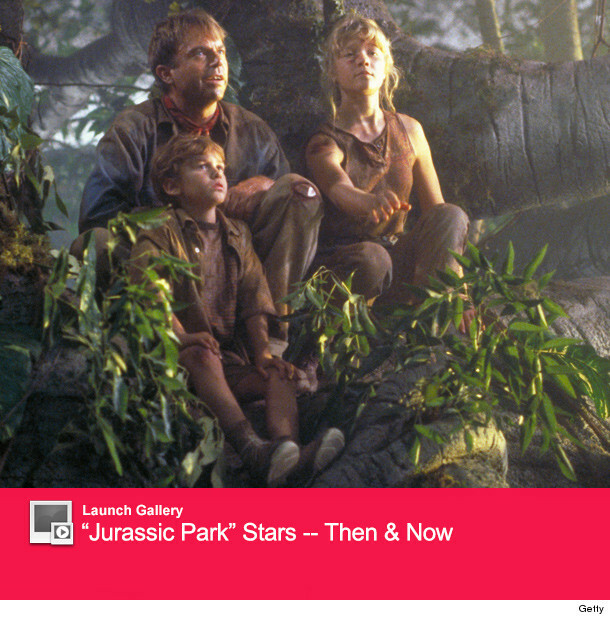 Picking up 22 years after the events of "Jurassic Park," the new film brings John Hammond's dream of a dinosaur theme park to life. And while there are references galore to the original flick and Hammond's '90s version of the tourist destination, only two characters return: B.D. Wong's Dr. Wu ... and the T-Rex! 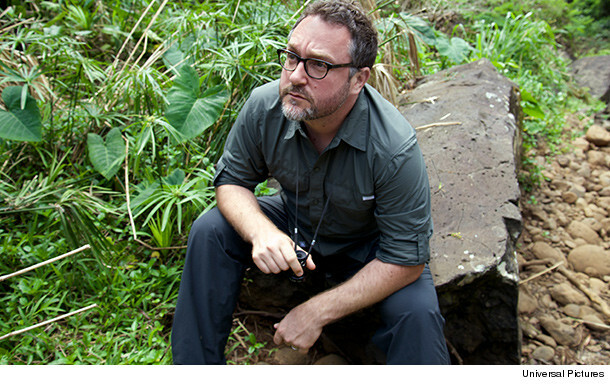 "We reference Hammond and there's a little nod to Jeff Goldblum on the back of a book someone’s reading, but in the end, I wanted to make this feel like a real world and not something that was manufactured by screenwriters, even if it is," director Colin Trevorrow tells toofab's Brian Particelli about keeping the "JP" nostalgia in check. "I constantly was pushing back against any instincts I had to lean into the nostalgia, it’s the easy way out. It’s also often the most obvious answer. I would actually find myself doing things that it didn’t even occur to me that they were an homage and then I would see it and say ‘No, no, no! Out, out,'" he continues. When asked if there were any drafts of the script where Dr. Grant, Ellie or Ian Malcolm faced off against beasts once again, Trevorrow insists it was never even considered. "Not in our versions …actually, not in any of the other versions that I read," he says. "I didn’t read them all, but I don’t remember anyone ever bringing back any of the characters. I think that was a mandate from Steven [Spielberg], that he wanted to push forward." "I didn’t even know they were making another movie until Colin called me," Wong says of his surprising return to the franchise. "Colin called me pretty early in the writing process. He wanted to make sure that I would do it or that I could do it, because he couldn’t really go along with this particular storyline unless I was actually able to do it." 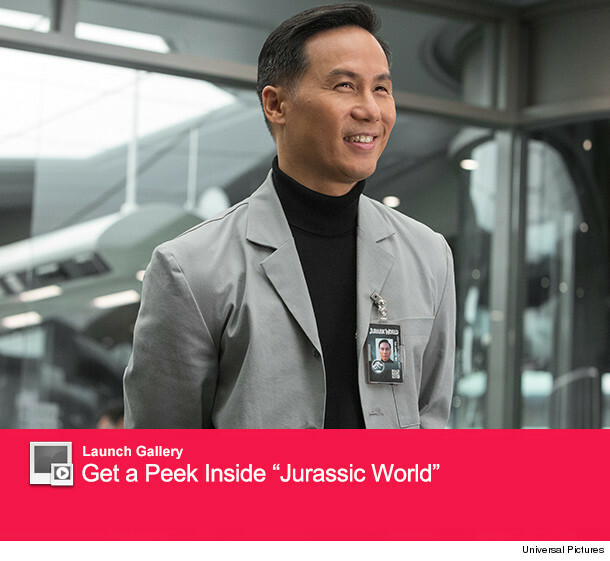 In the new film, Dr. Wu's experimentation on dino DNA has advanced considerably in the past 20+ years -- and so has his thirst for appreciation. "I thought that made sense that he would be back there, continuing to feel unappreciated and unsung in doing what he does," Trevorrow says of bringing back BD. While Wu is only a minor character in the original film, Wong says he's noticed the doc has some diehard fans on Twitter who all feel some "affection" for the geneticist -- and that got him excited to get back in the lab. "I felt a little left out of the first one. It could have been so much more, but it’s great and I was really grateful and happy to be in it, but it wasn’t super satisfying to me as an actor," he admits. "This time I thought, 'Oh wow, this is kind of what I was missing in that movie.' I’m happy to revisit it to tie up loose ends." "In the end, I needed something that was a new adventure," Colin adds in closing. "A new experience for people that would ideally make you feel similarly to the way the first movie felt ... but not because you’re not watching the same stuff." The park is open June 12, when "Jurassic World" hits theaters. Chris Pratt Gets Pranked During 'Jurassic World' Interview -- And It's Hilarious! Chris Pratt Challenges Apparently Kid Noah Ritter to Dinosaur Trivia, Gets CRUSHED!